Browsing a seed catalog or shopping at a local plant nursery can be overwhelming. Especially for a new gardener! I still have a tough time making selections. With so many choices, it’s hard not to go overboard. When I’m purchasing seeds, I try to consider my space and needs so I can maximize returns. I also often fill up my basket and walk away from my computer before finalizing my order. It’s easy to get caught up in the moment and overestimate both my garden’s capacity and the amount of room I have for seed starting. Have you found yourself stressing about what to plant? Today I want to try to make the planning process easier for you. Before buying your seeds or starter plants. Make a rough garden plan. You’ll have an estimate of the amount of space available for planting. I use the Square Foot Gardening method, so I always have an idea of how many square feet are available. I sketch out my beds, divide them into square feet, and decided what to plant in each square. With proper planning, I know what I need to start indoors. For example this year, I’m dedicating one square foot to leeks. Using the SFG method, leeks should be planted 9 per square foot, so I’ve got at least nine leek seedlings growing. I also always start a few extra, just in case. If I hadn’t done any planning, I might have started too many seedlings and found myself scrambling to make room for leftover plants. Luckily, this year I’m donating any extras to our local community garden. If you’re working within a limited space, like a balcony, count up the number of pots you have or plan to use before you start growing or purchasing seedlings. How do I narrow down my planting choices? Now that you know how much space you’re working with, consider the amount of sunlight that shines upon your growing space. How many hours of sunlight does your garden receive? 6-8 hours is ideal. Less than 6 hours of sun typically means the area is partially shaded. You can still grow plants in low sunlight, but growth will be slower, and not all plants will thrive without full sun (e.g., tomatoes). Working with a super sunny area? In the summer, you may want to use shade cloth to protect greens like lettuce because heat will cause certain plants to bolt and go to seed. In the very hot sun, greens may also experience leaf burn. Mulching to conserve moisture is crucial. You may also plant heat-sensitive crops close to larger, leafy vegetables for shade. In full sun, you’ll have success with eggplant, tomatoes, peppers, and squash. I’m a big proponent of choosing vegetables and plants that will make their way onto your dinner plate. Don’t grow stuff you don’t like to eat unless you plan to trade it with other gardeners. I don’t love cucumbers. I find them boring, and plants always produce way more than I can eat, so I don’t typically grow them. What’s the point? I’d rather use the space to grow something I love to eat! My favorite veggies include bok choi, kale, eggplant, and carrots. I eat these veggies the most, so I make sure I have plenty of growing space for them. Which plants are the easiest to grow and which are the toughest? I hear this question a lot, and I’d say it depends. A lot of people find it easy to grow tomatoes. I find they’re a lot of work and often produce way more than I can eat in a season. It’s possible to preserve them, but that involves extra labor. Radishes grow super quickly, and some varieties are ready to harvest in less than a month. But your success with radishes may depend on your soil composition. Lettuce is easy to grow, but in climates with sweltering summers can bolt quickly and turn bitter before you even have a chance to harvest the leaves. Spinach is another low-maintenance quick growing green, but in my climate, if I don’t sow seeds early, plants go to seed before I even realize they’re ready to eat. I’ve had great luck with eggplants, but it’s true that they’re finicky. 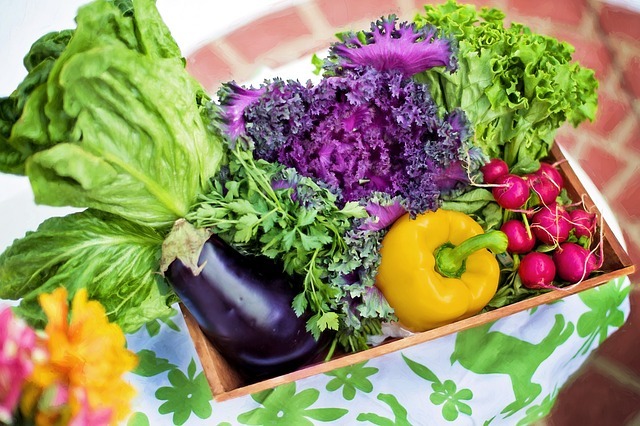 Difficulty level depends on many factors, and you may find that the easiest vegetables to grow are the ones you enjoy eating because the harvest is so rewarding. Plan your garden according to your palette, and it’ll be that much more fun to nurture the plants within.